Throwback Thursday #4 From the Archives… “The F Words.” | The Spiritual Blog of Rev. Michael F. Copado. ← Nothing more can be said. Over the years I’ve been working on an informal series of sermons titled the “F” Words, representing different aspects of our spiritual journey, many of which appear to be stumbling blocks to achieving the life we want to lead. Oddly enough quite a few seem to begin with the letter F.
The first talk in the series tackles what I think is one of the biggest stumbling blocks to our good; FEAR. 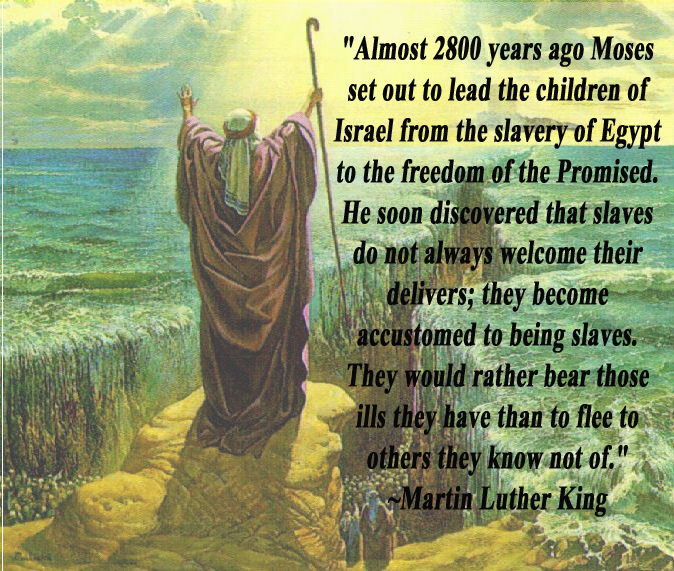 This sermon was delivered Nov. 10th, 2013 at the Unity Church of Flint, Michigan. Our fears can be so big, so Goliath like that they can even prevent us from beginning, let alone succeeding. But just like Goliath, they often have a glass jaw, they are usually much weaker than they really are. They can be defeated often by simply moving forward. I begin with examples of just what a jailer our fear can be, how it can hold back kings and commoners alike. How it can keep us from having fun, living our dreams and can even keep us stuck in abusive situations, because we’re often more afraid of the unknown, the whatever hell we may be existing in. 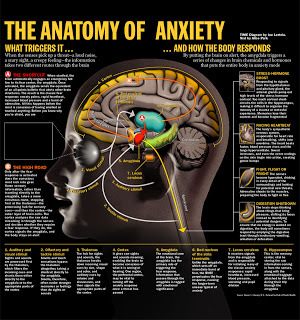 Next I explore the mechanics of fear- explain just what fear is on a physical level, what parts of our brain and our neurological systems are triggered when we are afraid. I look into our fight of flight mechanism which is a leftover from our animal days and is lodged in the reptilian parts of our brain. 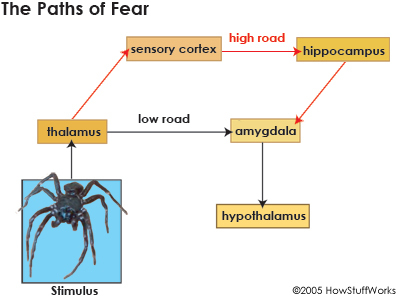 I then actually look at the paths a fear trigger takes from its appearance as an external stimulus or an internal worry to it’s physical manifestations as sensations such as hear palpitations, sweating, and even paralysis. 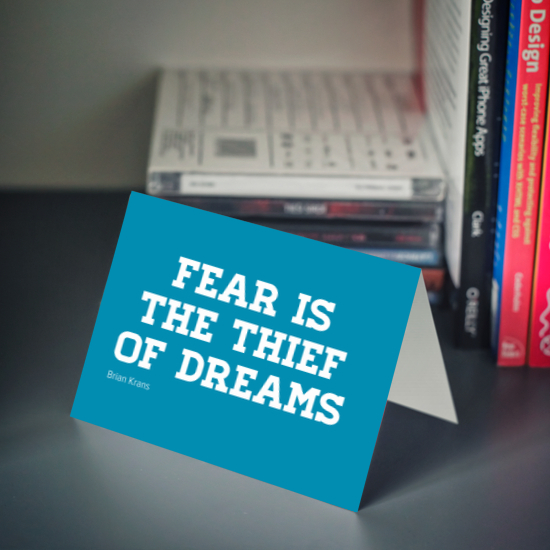 Once we understand just how our fear works I than offer some suggestions as to how to overcome it. 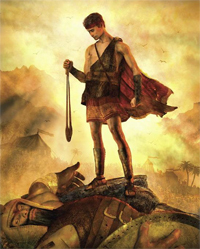 I start with a metaphysical analysis of one of the best scriptural examples of overcoming fear, the classic story of David and Goliath. Then I share a simple 3 step process that can help us move across the border of out fear. 1) Name it & Claim it, usually by writing it down. 2) Define the shape of your fear. Where did it come from? How long have you had it? What triggers it? How does it affect it? What have you missed out on your life because of it? What are you missing out on now because of it? 3) Visual your world past the fear. Imagine the outcome of whatever it is you are trying to achieve. See yourself being successful at whatever it is. Finally I conclude the talk with a short meditation guided meditation that incorporates all 3 of those elements into one tool that can help transcend any fears. So if there’s anything holding you back from your desires, whatever they may be, I hope this little talk can help you move beyond whatever mental prison you maybe in. 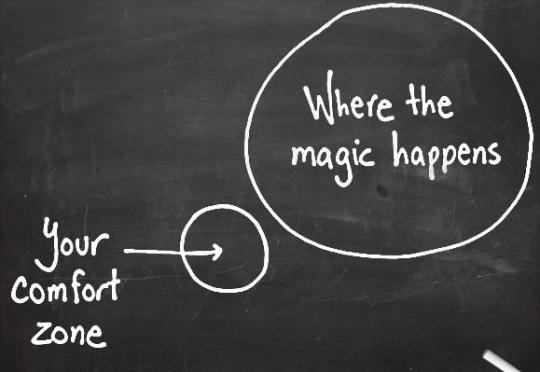 To hopefully help you take that first step beyond your comfort zone and into the realm where miracles happen. This entry was posted in Sermon audios, Throwback Thursdays and tagged David and Goliath, Doubt, Faith, Fear, Paryer, Wayne Dyer, Worry. Bookmark the permalink.